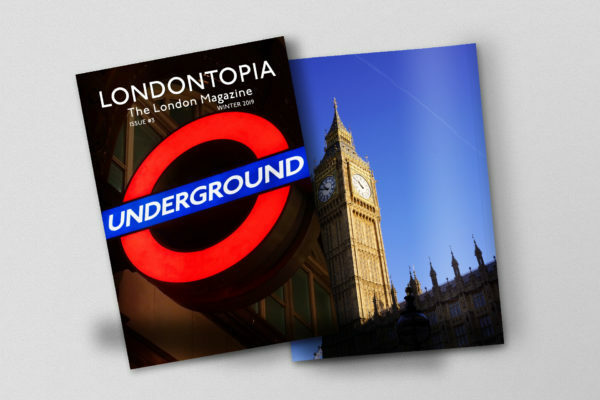 As historical a city as London is, there are plenty of buildings and structures that date back centuries, if not thousands of years. While London had long been spotted with settlements, the first organized building came with the Romans after their invasion in 43 AD. The coming of the Christians in the Middle Ages led to the construction of several churches that see many worshippers each Sunday. Even more buildings that still exist today followed the Norman invasion in 1066 AD. So what are the ten oldest buildings and structures in the city? 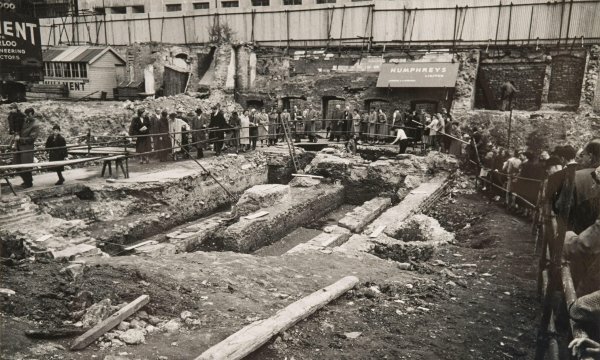 Possibly the oldest structure in London, archaeologists conducting a survey of the Thames in 2010 discovered six timber piles on the shore of the river under the shadow of MI6’s Vauxhall building. 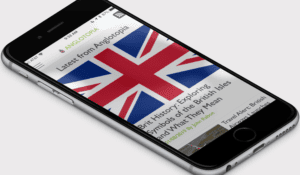 The structure dates back to the Mesolithic Period, at a time when the Thames was thinner and deeper than it is at present, a fact confirmed by the finding of stone tools nearby as well as Neolithic pottery. It’s unknown exactly what the purpose of the pillars was, whether it was a structure used like Stonehenge or something entirely different. One of the oldest surviving Roman structures, it was constructed as a mithraeum, or a small temple for the worshippers of Mithras, the Persian god of light adopted by some Romans. 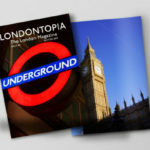 It was discovered after World War II during the rebuilding caused by the London Blitz. Evidence suggested it was converted from Mithras to Bacchus worship around the 4th Century. After its discovery, it was relocated to Temple Court, Queen Victoria Street, for the construction of Bucklersbury House. Bloomberg intends to move the temple to its original site near the covered-over River Walbrook, with a plan to complete the project next year. 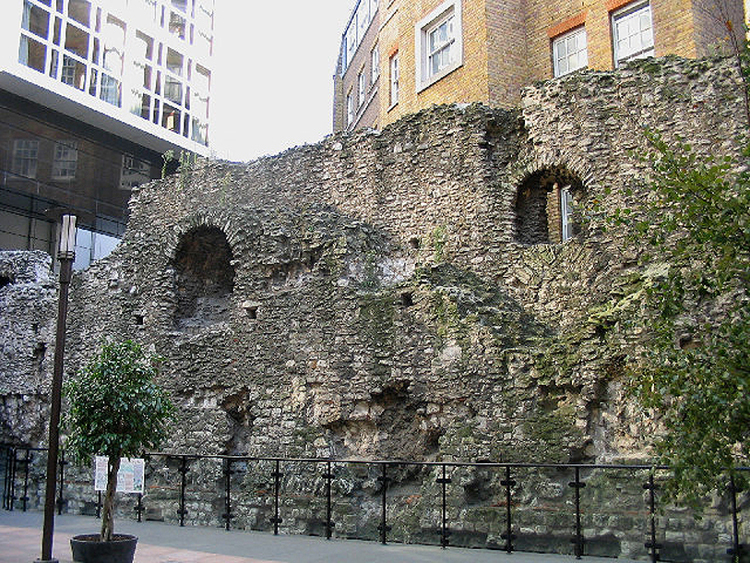 The first defensive wall constructed by the Romans around their settlement of Londinium, it essentially forms the original borders of the City of London. It is believed to have bene constructed anywhere from 190 to 225 AD, mostly to protect the settlement from invasion by the Picts, who had previously overrun Hadrian’s Wall in the 180s. It was in use as a defensive measure for 1,000 years after it was constructed and it helped to protect the rest of London from the Great Fire in 1666. 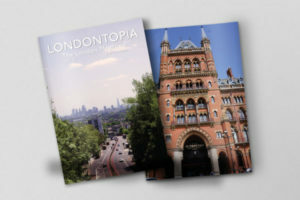 Today, parts of it remain scattered around the border of the City of London and can be seen at the Museum of London, the Barbican Estate, and Tower Hill. Separate from St. Panrcas New Church, the parish church (also known as St. Pancras Old Church) is believed to be one of the oldest places of worship in England. Evidence of the church’s construction is minimal, but it is believed to have been constructed as early as 314 AD. 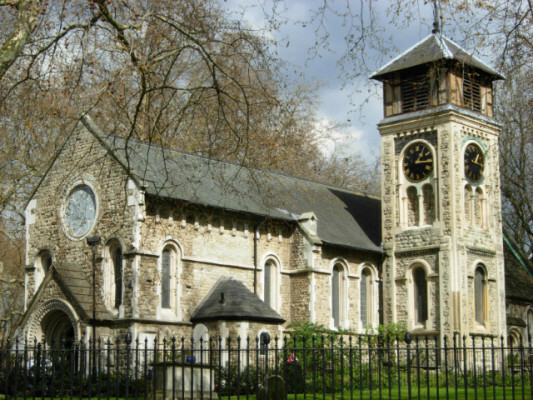 It was simply known as St. Pancras Church until the new church was constructed in 1819. Following the English Reformation, it was one of the only churches in London that permitted the burial of Catholics. The church was derelict by the mid-19th Century, but increases in population led to its restoration. Perhaps the second oldest church in London, it was supposedly constructed during the 6th Century and is dedicated to the Irish Saint Bride, also known as St. Bridget. The church may have been constructed under orders of Bridget herself or by Irish monks proselytizing in her name. The Medieval crypt also has Roman pavement that dates its foundations back even further than the original church’s construction. The present church is actually much newer, as the original was destroyed in the Great Fire of London. The current building was constructed after the fire by Christopher Wren and its spire served as the inspiration for the modern tiered wedding cake. 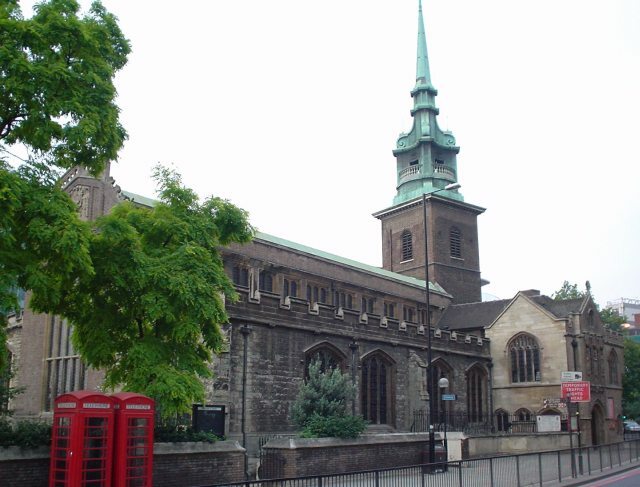 Named, in part, for its close proximity to the Tower of London, the church actually pre-dates the Tower by four-hundred years. It was established by the Saxons of Barking Abbey and for years was named “All Hallowed Barking”. 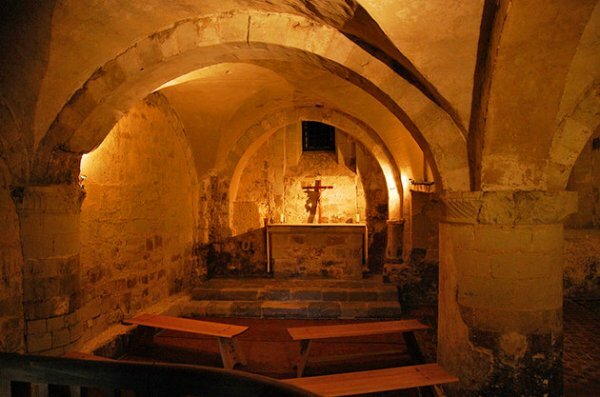 As with St. Bride’s, it was constructed on the site of a formerly Roman building, and as such, some of the building’s foundation can be seen in the crypt. Following the Tower’s construction, the church was renamed and its closeness brought royal connections, with Edward VII using it as a royal chantry and Tower execution victims being sent there for temporary burial. It was damaged several times, first in the 17th Century when gunpowder stored in the churchyard exploded and during World War II when German bombs gutted its inside. The church has a fascinating history and is connected to a couple prominent Americans, including William Penn (who was baptised there) and John Quincy Adams (whose marriage took place there). 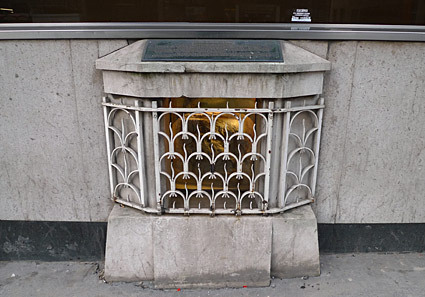 An irregular-shaped block of limestone currently housed behind metal bars at 111 Cannon Street, the London Stone has been used since the 9th Century as a place to strike deals and swear oaths, though the structure that it was once supposedly part of is said to be even older. A ceremonial structure, the stone was used as a place for the swearing in for the Lord Mayor of London. 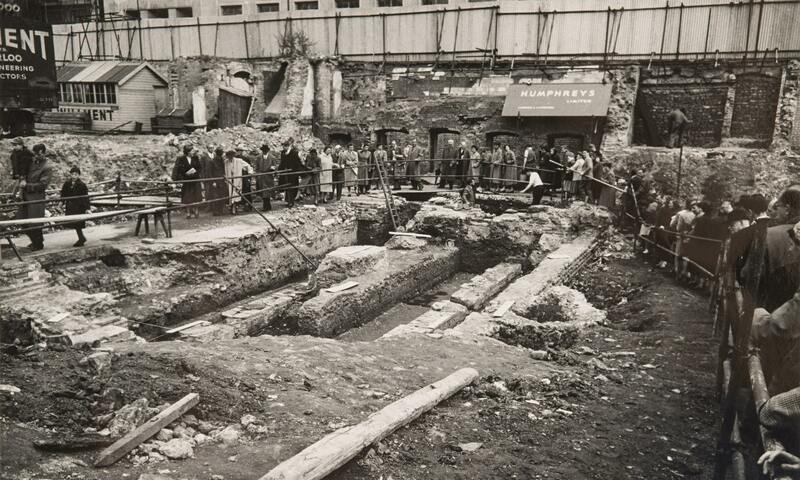 There is much speculation about its origin, from being an altar stone brought by mythical London founder Brutus to being part of the foundation of the Roman governor’s palace. Whether known as Pyx Chapel or Pyx Chamber, this part of Westminster Abbey located between Chapter House and the Great Cloister was built the same year that William the Conqueror was crowned William I. The “pyx” was a vessel used to house the consecrated Host for the Eucharist (or Holy Communion). A pyx was also a chest that housed coins used to test the quality of newly-minted currency. The “Trial of the Pyx” was the ceremony used to test that quality, though the test was typically performed in the Palace of Westminster than in the Abbey. The Pyx Chamber thus became a treasury for both the Abbey as well as the crown. While many of the fixtures were removed after the English Reformation, the excellent Medieval tiles and stone altar remain. Coming shortly after William the Conqueror came to London, he built the Tower of London as much for administrative control as to display his power over the citizens of London. 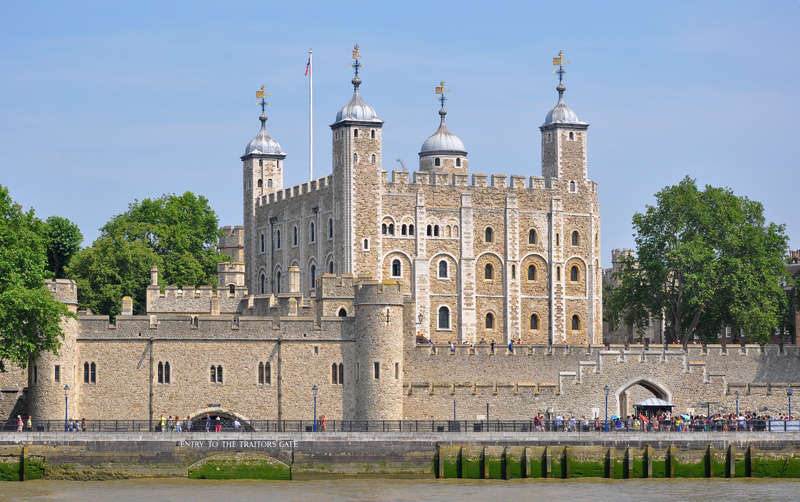 The White Tower was the first part of the Tower of London to be built, begun in 1066 and finished in 1078. The White Tower saw many different uses over its history, being a royal residence, defensive fortification, records storage, and even a prison. Today, it is the central part of the Tower of London tour and contains the collection of the Royal Armouries and exhibits on the royal line. 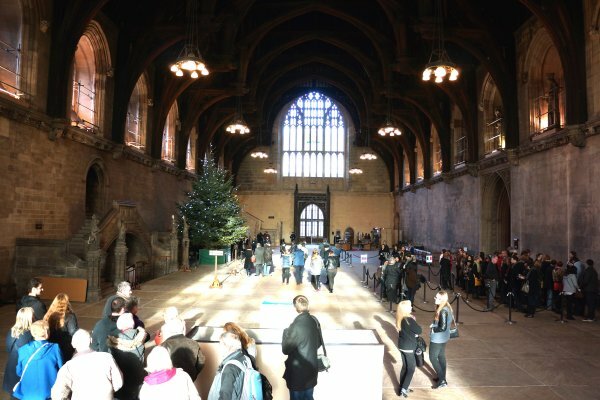 The oldest building of the Parliamentary Estate, Westminster Hall was erected in 1097 and was, at the time, the largest hall in Europe. It was constructed by William’s son, King William II, who, like his father, wanted a building that would impress his power upon his subjects. As with the White Tower, it had several function over the centuries, including being the royal court, a court of law, a meeting place, and a place for dignitaries to lie in state before their funerals. It is sometimes still used for joint meetings of the House of Lords and the House of Commons and, in rare circumstances, a place for foreign leaders to address the two houses. As I understand it, there’s no definitive hard archaeological evidence to confirm that either St Pancras’ or St Bride is quite as old as it purports to be. The oldest more-or-less reliably datable part of St Pancras’ is the altar-stone inlaid into the later altar-table, which is probably from the turn of the sixth and seventh centuries (i.e., early Saxon rather than Roman). Similarly, the oldest reliably datable part of St Bride’s is early eleventh century (i.e., late rather than early Saxon). There is an archaeological level that underlies, and is therefore older than, this, but it is not reliably dated. 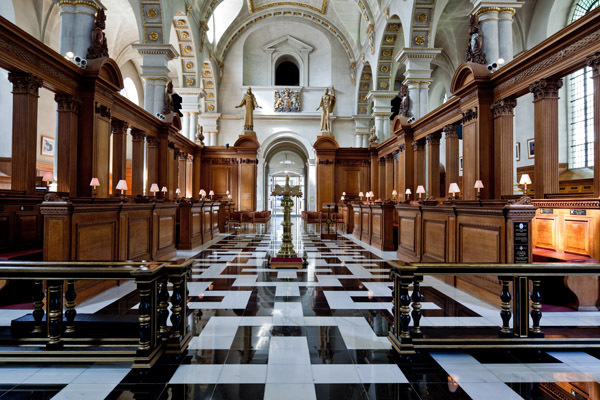 To mention also that although Saint Bride Fleet Street was rebuilt by Wren after the Great Fire, on the 29th December 1940 was gutted by firebombs and thus reduced to a roofless wreck, and so the interior seen today is not particularly of the 1670s.